PWTorch.com - WWE News: ABC News report - What led to Great Khali's tumor surgery, can he wrestle again?, WWE at fault? WWE News: ABC News report - What led to Great Khali's tumor surgery, can he wrestle again?, WWE at fault? WWE and Great Khali (Dalip Singh) decided Khali should undergo surgery to remove a tumor after a discovery made in WWE's Wellness Policy, according an ABC News report. 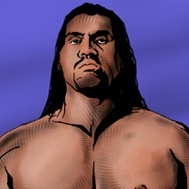 A representative for WWE told ABC that WWE identified Khali's acromegaly condition prior to surgery this week. However, even after surgery, Khali is still at risk for serious health conditions if the tumor came in contact with optic nerves. The other factor that could put his wrestling career at risk is whether physical contact at the surgery site could lead to internal bleeding. WWE is still anticipating Khali's return to the ring in 2-3 months, though. "As part of WWE's ongoing wellness evaluation, we are happy that The Great Khali (Dalip Singh) had successful pituitary surgery, and we look forward to him returning to the ring in the near future," WWE spokesman Adam Hopkins said in a statement. ABC's report also examines whether WWE could be at fault for not pursuing surgery earlier in Khali's career due to what one doctor described as obvious signs of acromegaly just by looking at him. A sports lawyer interviewed for the story said it appears to be more of a "moral" than "legal" issue, with WWE utilizing Khali's size for profit as one of the top giants in the company. Link: Full story on Khali can be read at ABCNews.com .